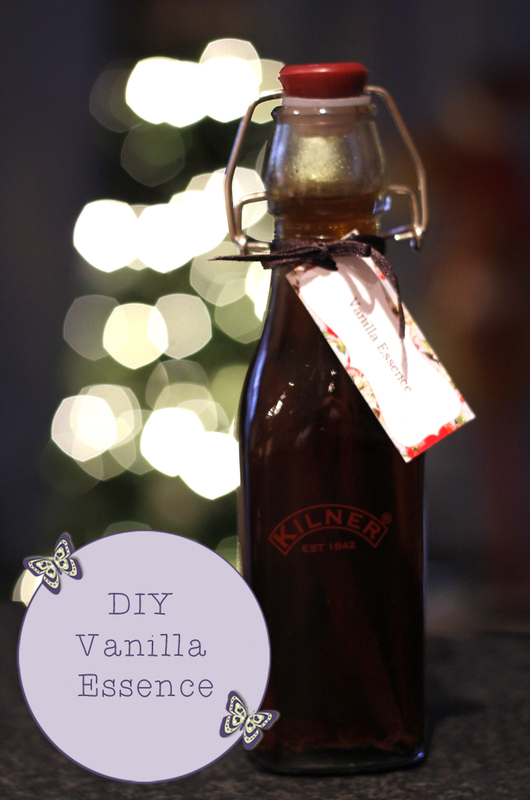 If you're a keen baker I would guess you have a bottle of vanilla essence in your cupboard, but have you ever thought how easy it is to make your own Vanilla essence? I decided to make up some hampers for family and combine lots of handmade goodies and one of the elements I made was handmade vanilla essence. 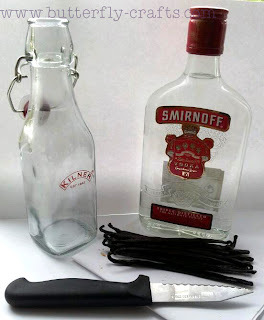 It was so easy to DIY that I also made up a sneaky batch for myself and I have been using it throughout the year in my cake baking as its much nicer than those tiny shop bought bottles and lasts longer. 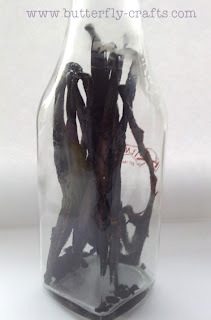 If you think this might be something you would like to make as Christmas gifts I would suggest making it soon as it needs to steep for at least six weeks to get a strong vanilla flavour. The first thing to do is sterilise the bottles - I did this in the dishwasher with no detergent and then leave the bottles to air dry overnight. The next stage can get a bit messy! You need to run the knife along the length of the vanilla pod and scrape out the seeds, leave them on the pod but not trapped in side. As you scrape each pod put it in the glass bottle, its okay if the seeds fall off in the bottle. Repeat this for all of the pods, I managed to get 11 in each bottle. Fill with vodka, seal the lid and give it a really good shake. Store in a cool dark place for at least six weeks or longer but each week give the bottles a gentle shake to mix up the essence. Eventually the vodka will turn a gorgeous shade of brown and smell delicious!